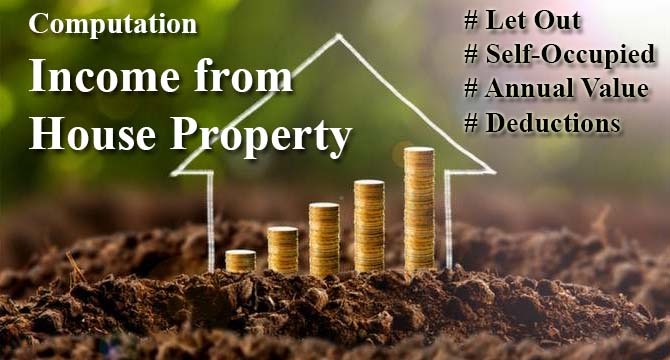 Where an assessee uses his property for carrying on any business or profession, no income is chargeable to tax under the head “Income from house property”. The assessee, in such a case, is not entitled to claim any deduction on account of rent in respect of such house property in computing taxable profits of the business or profession. Condition 1 : The property (or part thereof) is not actually let during whole (or any part) of the previous year. Condition 2 : No other benefit is derived therefrom. X owns a property. Throughout the previous year 2018-19, it is used by him (and his family members) for own residence purposes. No part of the property is let out or put to some other use. Y owns a property. He sells the property on December 1, 2018. Between April 1, 2018 and December 1, 2018 it is used by Y and his family for residential purpose. It is neither let out nor put to any other use. Z purchases a property on June 1, 2018. Since then it is occupied by Z for his residential purposes. Neither it is let out nor it is put to some other use. A owns a house property. During the previous year 2018-19, he retains exclusive control over possession of house owned by him, though he may not be actually present in house, when he is away from it, he is still in constructive possession of his residential house. any other benefit therefrom is derived by the owner from such house. In the above cases, the annual value shall be determined as per provisions applicable for let out properties as discussed above. If there are more than one residential houses, which are in the occupation of the owner for his residential purposes then he may exercise an option to treat any one of the houses to be self-occupied. The other house(s) will be deemed to be let out and the annual value of such house(s) will be determined as per section 23(1)(a) i.e. the sum for which the property might reasonably be expected to let from year to year. The assessee in this case, should exercise his option in such a manner that his taxable income is the minimum. Such option may be changed from year to year. However, if an assessee has a house property which consists of two or more residential units and all such units are self-occupied, the annual value of the entire house property shall be taken as Nil as there is only one house property though it has more than one residential units. Annual value as per Income-tax is after deduction of municipal taxes, etc. paid, if any. 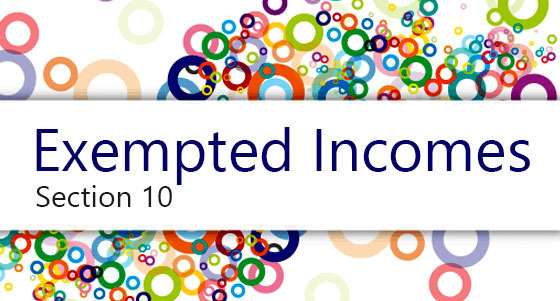 The benefit of exemption of one self-occupied house is available only to an individual/HUF. Where annual value of one self-occupied house is nil, the assessee will not be entitled to the standard deduction of 30%, as the annual value itself is nil. The acquisition or construction should be completed within 5 years from the end of financial year in which the capital was borrowed. The person extending the loan certifies that such interest is payable in respect of the amount advanced for acquisition or construction of the house or as re-finance of the principal amount outstanding under an earlier loan taken for such acquisition or construction. If capital is borrowed for any other purpose (e.g., if capital is borrowed for reconstruction, repairs or renewals of a house property), then the maximum amount of deduction on account of interest is Rs. 30,000 (and not Rs. 2,00,000). There is no stipulation regarding the date of commencement of construction. Consequently, the construction of the residential unit could have commenced before April 1, 1999 but, if the aforesaid three conditions are satisfied, the higher deduction of Rs. 2,00,000 would be available. There is no stipulation regarding the construction/acquisition of the residential unit being entirely financed by the loan taken on or after April 1, 1999. It may be so in part. However, the higher deduction of Rs. 2,00,000 towards interest can be claimed only in relation to that part of the loan which has been taken and utilised for construction/acquisition after April 1, 1999. The loan taken prior to April 1, 1999 will carry deduction of interest up to Rs. 30,000 only (as stated in para given below). If capital is borrowed before April 1, 1999 for purchase, construction, reconstruction, repairs or renewals of a house property. If capital is borrowed on or after April 1, 1999 for reconstruction, repairs or renewals of a house property. Condition 1 : The taxpayer owns a house property, which cannot actually be occupied by him by reason of the fact that owing to his employment, business or profession, carried on at any other place. Condition 2 : He has to reside at that other place in a building not owned by him. Condition 3 : The property mentioned at (a) (or part thereof) is not actually let out during whole (or any part of the previous year). Condition 4 : No other benefit is derived from the above property by the owner. If the above conditions are satisfied, income from the property shall be determined according to the method given in (A1) above. In this case the annual value, deductions and the income of the part of the property which is let shall be computed separately under the let out property and the income of the portion or the part of the property which is self occupied shall be determined as per para 5.8 under the "self-occupied property" category. E.g. where one unit is let out and the other unit is self occupied, then the whole property cannot be taken as a single unit. Municipal value or fair rent if not given separately, shall be apportioned between the let out portion and self occupied portion on built up area basis. Similarly, where, in a building the ground floor is self-occupied and first floor is let out or viceversa, such a property shall not be treated as a single unit. Instead, income from first floor which is let shall be computed separately as per let out provisions and the floor which is self-occupied shall be computed separately as per self-occupied provisions. Municipal tax and interest shall also be apportioned on the basis of built up/floor area space.